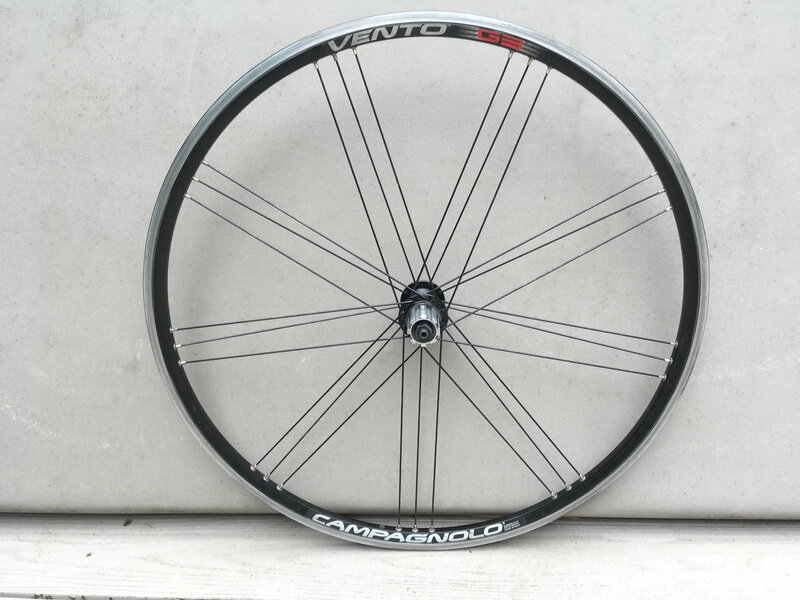 Our bike co-op was given a Campagnolo Vento G3 rear wheel. It is in good shape, and the brake track is lightly marked but unworn according to my suspicious fingers. 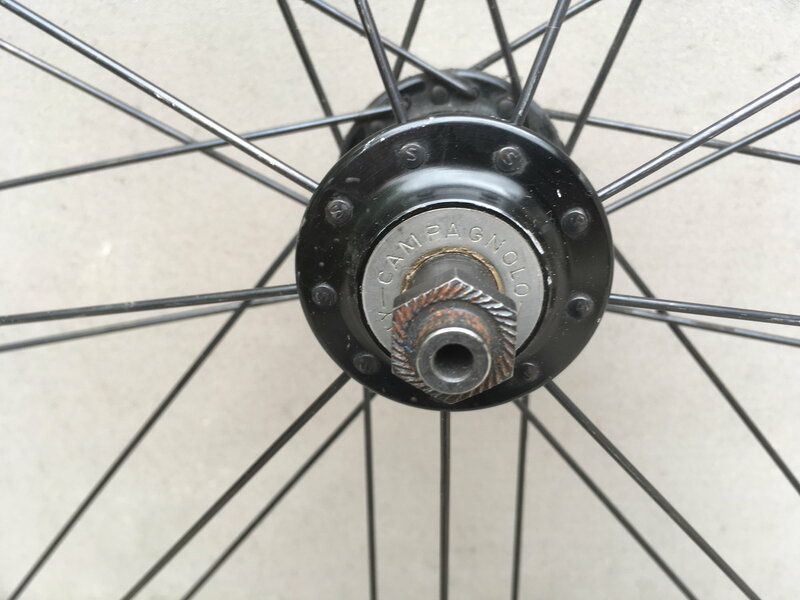 The hub is Campagnolo, and the freehub has Campy splines. 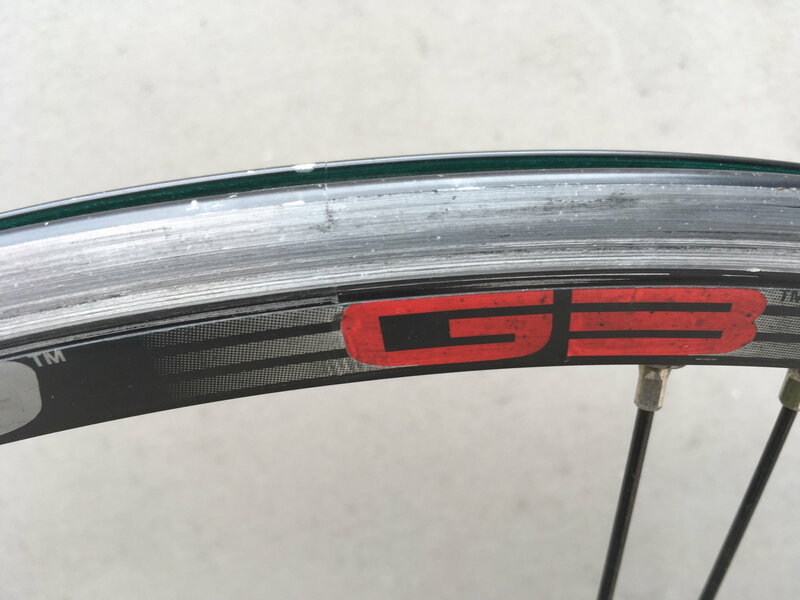 I would like like to get $65 plus shipping for this wheel.